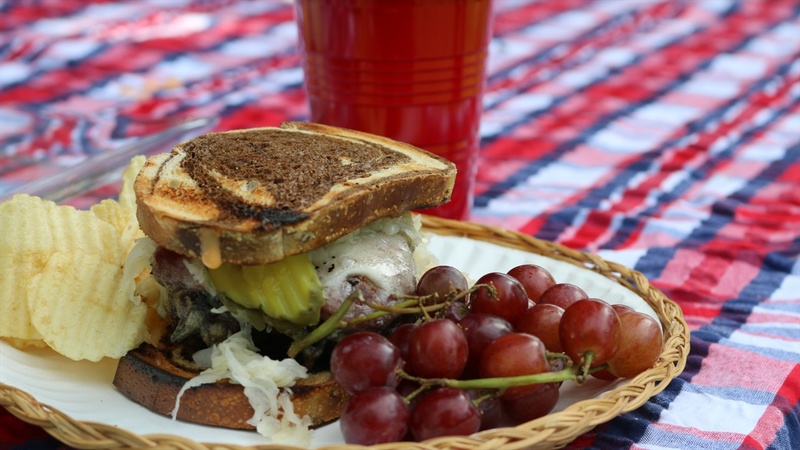 Chef Lisa, with Hy-Vee, teaches us how to put a grilling spin on the classic Nebraska Reuben. As it warms up outside, bring the heat to your grill with this summer twist on a state favorite! After a long wait for winter to be over, spring weather is here and it's time to break out the grill! Tailgate Team members don’t have to wait as they are always ready to tailgate and win! 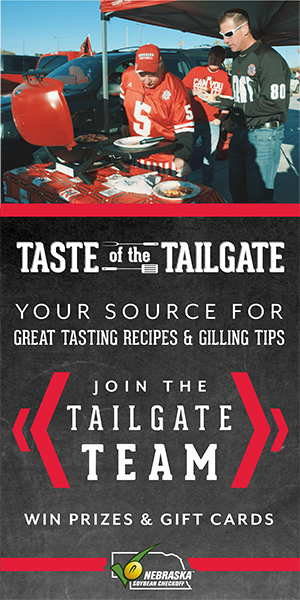 Visit tasteofthetailgate.com to sign up for free and receive information about upcoming sweepstakes and giveaways. Start by your washing hands, assembling your ingredients and utensils and preparing a clean workspace. Prepare the beef patties by combining the ground beef with pickling spices and fennel seeds, using your hands mix the ingredients together. Form 3/4-inch patties, approximately 8 ounces each. When there are 2 minutes of grill time left, top each patty with Swiss cheese and corned beef. To toast your bread, marble rye or pumpernickel, place two slices for each burger on the grill. Using a meat thermometer check the temperature of the burgers. When they have reached 160° F and the bread is lightly toasted, remove both from the grill. Spread Thousand Island dressing on half on the bread slices. Place burger patties on the other half of the bread slices and top with sauerkraut and pickles. Put the bread slices with Thousand Island dressing on the burger and enjoy! For more great recipes and grilling tips, visit tasteofthetailgate.com.